ProcessFlows’ SMS Solution saves valuable time at Babergh District Council and engages the younger generation. 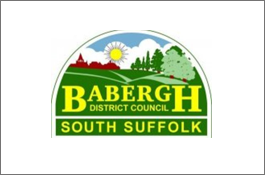 Babergh District Council is based in the market town of Hadleigh, placing it centrally within the prosperous and attractive district it represents in the southern part of Suffolk. The district is predominantly rural, yet is within easy commuting distance to London. The Council aims to respect and protect its unique heritage and environment whilst addressing change where this is beneficial to residents and the district, whilst providing a community leadership which recognises that everybody matters and which encourages and supports strong and inclusive communities. Babergh Council wanted to find a modern, cost effective and easier method of keeping in touch with its residents and in particular, where possible, to engage the younger members of the community. They identified text messaging as an easy and unobtrusive communication tool which offered greater penetration across the district than either home or publicly accessed PCs and it was popular with the younger generation. It would hopefully open up new lines of communication with this section of the community, as well as saving valuable staff hours. The solution needed to operate through an email interface, be easy to install and simple to use so that it would quickly be embraced by Council personnel and recipients, plus it needed to meet regulatory compliance initiatives. A pilot text messaging system trial, using ProcessFlows’ Text Message Solution was implemented and used in the first instance to deliver local election results to members of the press. The solution offers fully-featured inbound and outbound SMS messaging. Text messages can be created, sent and received from within any email client and third party software such as CRM, ERP and Web, with enterprise reports and developers tools kits. Information on newly-elected councillors was sent through text messages to journalists and broadcasters – saving staff time, hours on the telephone and improving the service provided. A travel alert service to try and alleviate the amount of time visiting council staff waste sitting in traffic jams. Internal communication with caretakers, so they do not waste time returning to base to be sent straight out again. Transferring information or messages to staff in the Council’s Property Management Team, who regularly need to switch between internal and external duties. Reminding citizens of appointments with the local Citizen’s Advice Bureau for debt advice a few days in advance to increase the number of kept appointments. Builders and house owners are able to request and arrange building inspections by text and the system is also being used to contact residents to remind them to pay their Council Tax. Now rolled out across south Suffolk, the use of text messaging is expanding. Marketing texting as the modern way to communicate with the council has had unforeseen knock on effects – more senior residents are now embracing texting as a routine method of communication, encouraged by their younger friends, allowing the council to further engage with these often hard to reach groups of people. Plans are also under way to use SMS technology for Emergency Planning processes. “Texting is quick and accurate, plus it gives us a complete audit trail, essential for this scenario” said Bob Southgate.